Smart Home Security: Which Devices are Worth the Cost? The Zmodo Outdoor Wireless IP Security Surveillance Camera System comes with four motion sensitive cameras that shoot in 720p. Footage can be viewed at any time via smartphone, tablet, or PC. However, these cameras do not record footage without a special subscription to Zmodo's cloud service, but the camera footage can still be viewed at any time without the subscription. This system retails at $169.99. 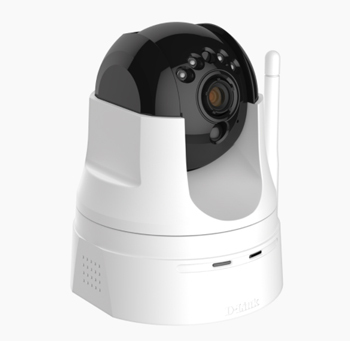 The D-Link HD Pan & Tilt Wi-Fi Camera has a flat base that allows it to be put anywhere indoors and comes with a 32 GB SD card for recording. The camera can be controlled through a phone app that allows the user to control which way the camera is facing and communicate through a speaker mounted on the camera's base. However, unlike the Zmodo set, this is just a single camera. Multiple cameras can be purchased and run through the same app at once, but homeowners who want more camera coverage will have to purchase multiple cameras. One D-Link camera retails for $80. The Nexia Z-Wave Door and Window Sensor is a small sensor that can be attached to any door or window, and it has a small camera built in that allows a recording to be taken when activity is detected. It can also send either a text message or e-mail to alert the homeowner if it detects suspicious activity. The sensor's status can be viewed on any smartphone, tablet, or computer. The sensors are each purchased separately, so homeowners who want one on every door and window will have to take increased costs into account. The three-year battery life may also fall short if the sensor is placed on a high-traffic door. One sensor retails for $29. 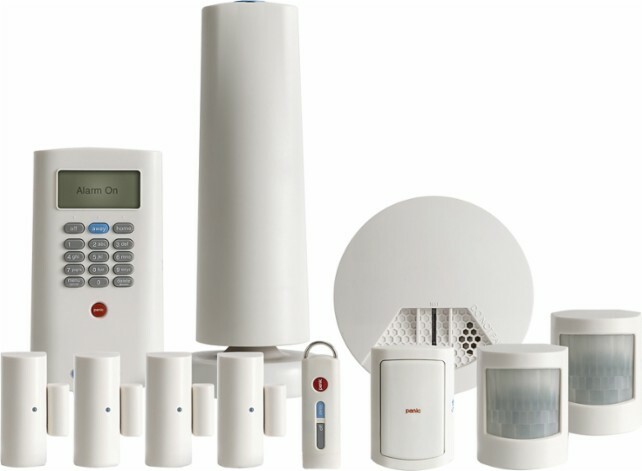 The SimpliSafe Ultimate Home Security System is a 16-piece set that includes a base station, wireless keypad, motion sensors, entry sensors for doors, and even sensors that detect water damage and CO emissions, and more. Users can utilize a smartphone app to view the sensors' states. However, this is a subscription service and will cost users $25 per month. The sensors are still usable without the subscription, but the app is not. The set retails at $539.85, and the SimpiSafe website allows buyers to create their own custom packages as well. The nice thing about locks is that it can be easy to convince home buyers of the added value they bring to a home should you ever choose to sell it – the benefit of locks are a lot more apparent to the average person when compared to other security technologies, and it's something they will notice upon entry just about every time they view the home. The Schlage Connect Touchscreen Deadbolt can be installed on any door after removing the old knob and lock. The lock features a fingerprint resistant touchscreen and a space for a back-up key in case of power failure or emergency, and it comes in five different finishes to match any entryway. Users can also open the lock at any time from any location by using an app on their phone or tablet. This lock is powered by four AA batteries, so it's important to know that replacement batteries will be an important part of this investment. Some users also reported power failures after particularly cold winter nights. The lock retails at approximately $180. 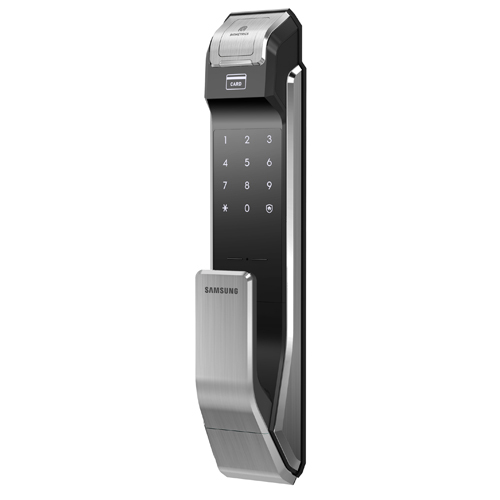 The Samsung SHS-p718 Fingerprint Digital Door Lock can be installed on any door and replaces both the knob and deadbolt supplies a pull/pull bar rather than a knob that needs to be turned. The lock has a touchscreen to input a numeric code as well as a fingerprint scanner that can recognize up to 100 different fingerprints, so users can choose to use either or both options. The lock's batter lasts approximately one year. This lock's biggest issue, however, is its price. It retails at approximately $435, which is more than twice the price of the Schlage lock mentioned above. These are just a few of the different home security devices offered. Ultimately, the value of each device is going to depend on the use the buyer gets out of them. Someone who lives where the weather is never too cold will likely choose the Schlage lock over the Samsung lock, and conversely, someone who lives where winters are cold will likely get more better results of the Samsung lock despite its higher price tag. When deciding on a home security system or device, always look up reviews from buyers and compare all viable options to find the best solution.